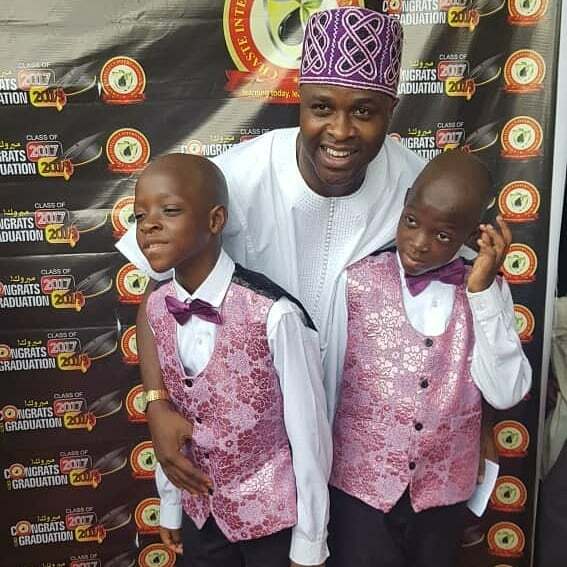 Popular Yoruba actor, Femi Adebayo’s celebrates his twin boys, Fadlullah and Fadlulrahman on their special day. The boys turned a year older on Monday July 30th, 2018.The actor took to social media to celebrate his boys. Happy birthday to my double blessing Fadlullah and Fadlulrahman Adebayo May Allah’s Baraka be upon you both and all that is yours on this special day and forever. Ameen !